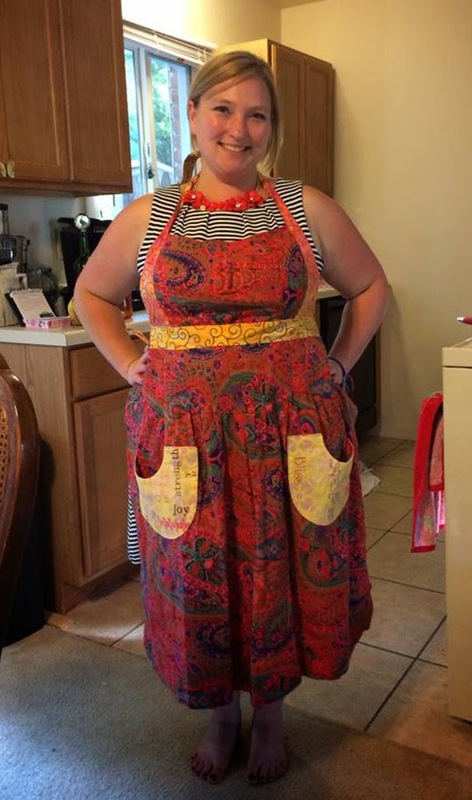 The Domestic Goddess Apron is a pattern created by Amy Butler. I decided to make one for my friend Kendra. She's playing with cooking lately and I wanted to surprise her, when I visited last weekend! 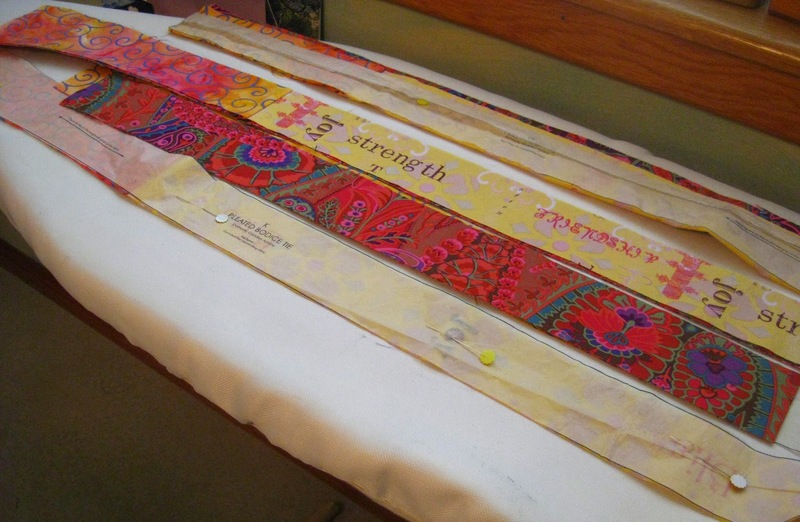 I recycled some fabric that had been curtains that covered a bookcase in my classroom a few years ago. 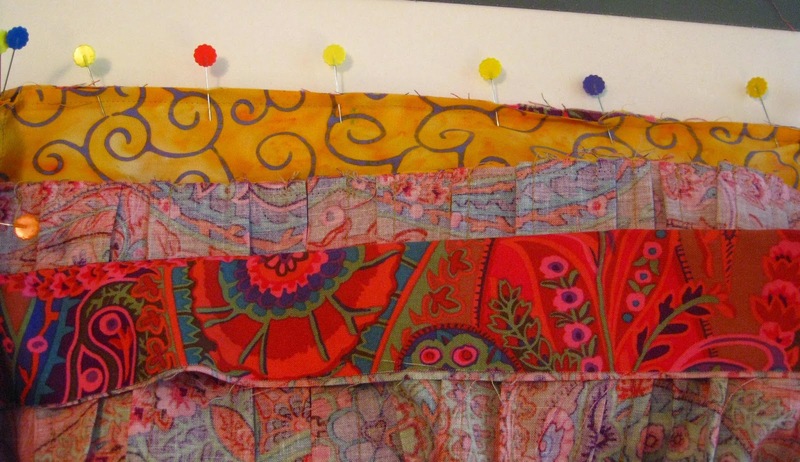 I loved that bright colors of the Kaffe Fassett fabric. And then I found the pattern at an estate sale and an idea was hatched to make this apron. Here I've laid out the pocket lining. I used some interesting contrasting fabric for the ties and the waste band. Because I didn't have enough length with the contrasting fabric, I added another for interest and pieced them. All those skills as a quilter were working for me. 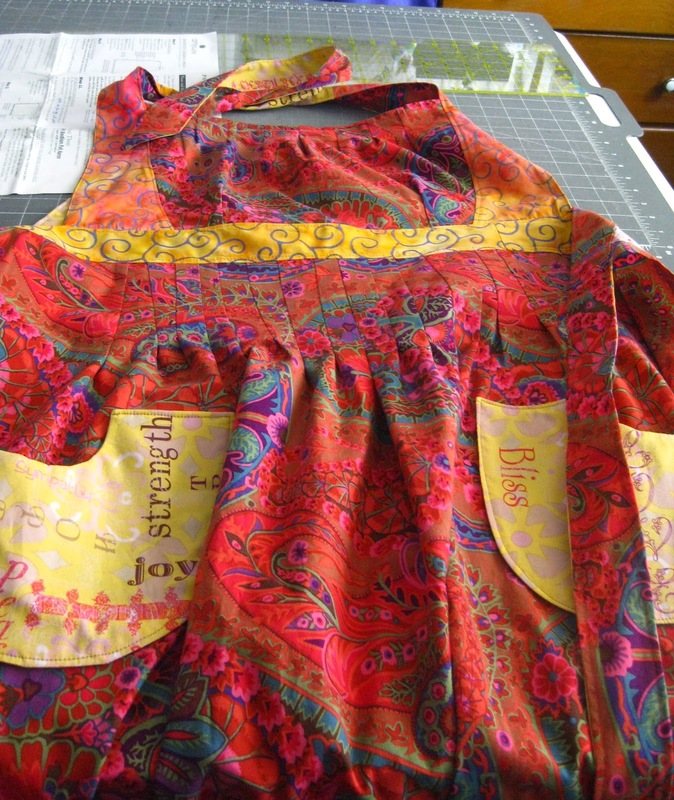 The words Joy, Strength, Peace, Love, Bliss, Hope were selected to read on the pockets. The directions for creating the apron are quite straight forward. I changed adding the top bodice by leaving the waistband open on the top. Then I stitched one side of the band right side together with the top bodice. 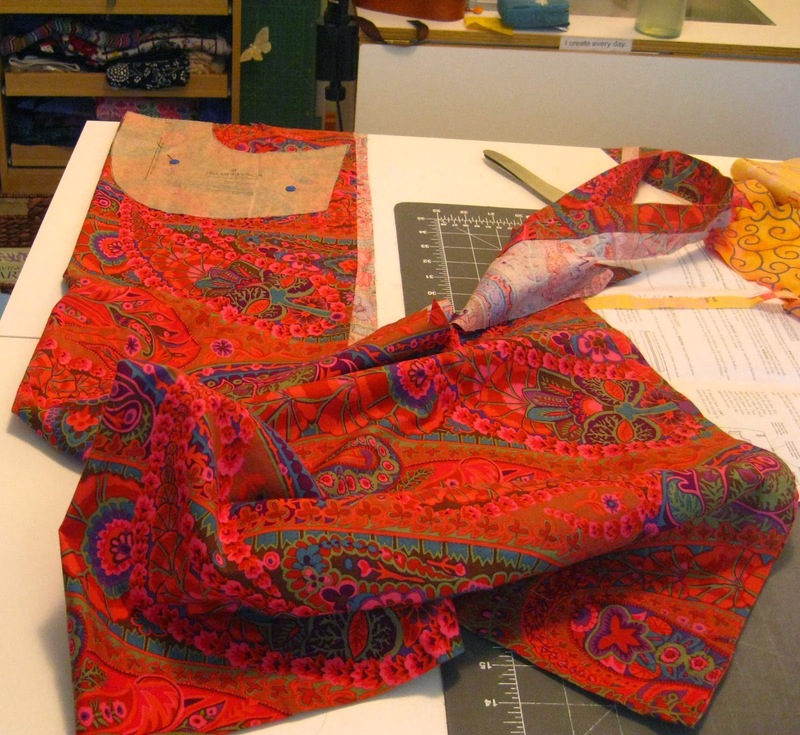 Then I sewed all layers together allowing no raw edges to show in the inside of the apron. When following the directions, here are my changes: On step 9 leave the top seam open the length of the bodice. On step 13, sew the bodice to right side waistband--only the front. When that is sewn, sew waistband front, bodice and lining together right sides together. Kendra modeling her Domestic Goddess Apron. She ready to cook up something good!